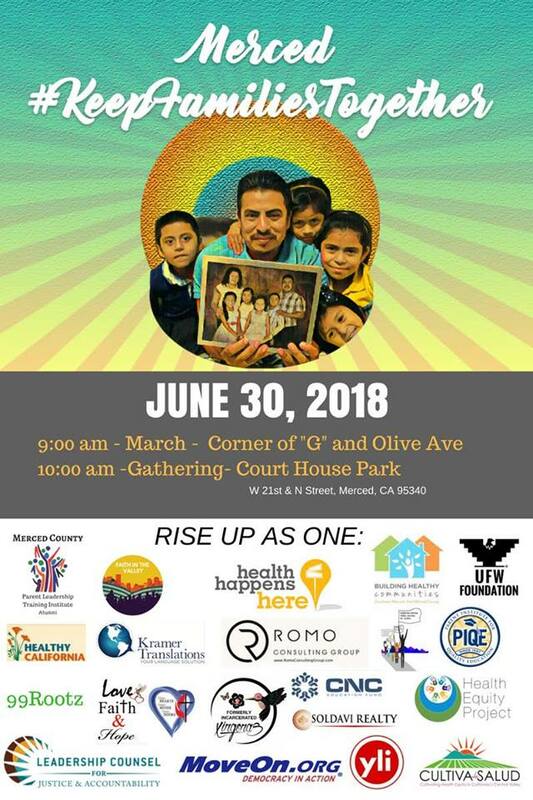 Families Belong Together Rally/March on June 30th – Carpooling! This post has already been read 530 times! UPDATE: We’re planning on carpooling to Merced. We will meet at the Park & Ride lot next to the Rite Aid in Mariposa at 7am on Saturday, 30 June. The march begins at 9am at G St & Olive Ave. The rally at the courthouse at N St and W. 21st begins at 10am. Bring water and wear sunscreen – it’s going to be hot! Progressive Mariposa invites you all to come join us to carpool to a Families Belong Together event in either Merced, Fresno, or maybe even Sacramento. Details are to follow but we anticipate gathering to carpool early the morning of June 30th at the Park and Ride lot next to Rite Aid in Mariposa. If you’d like to attend or would like to help organize, please send us an email at info@progressivemariposa.org and let us know whether you can drive or need to ride with someone.